Kevin McNair, the Owner of Tactical West is an NRA Certified Firearms Instructor and Range Safety Officer and has a myriad of other impeccable credentials. Please visit the instructor link for more info. 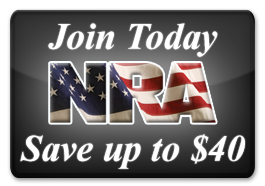 He and his experienced team will make sure you get the best firearms training possible. Every gun owner should be safe and responsible. To keep your community and family safe, learn how to use your weapon the right way with Tactical West! Looking for a Great Bulletproof Vest? At TacticalWest, safety and responsibility are our priorities. We recommend that you check out BulletSafe if you are thinking about purchasing a bulletproof vest. 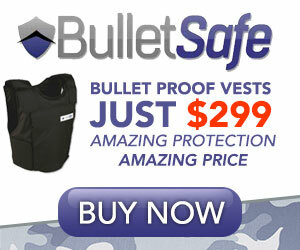 BulletSafe offers quality bulletproof vests at a great price! Vests are only $299! They provide amazing protection at an amazing price. To learn more and to purchase one, click on the BulletSafe graphic. Multi-State Concealed Carry Firearms (CCW) Classes, various shooting, hunting, and outdoors seminars at local retail outlets, personal protection inside and outside the home, Nevada Department of Wildlife (NDOW) Hunter Education Classes as well as a myriad of other adult/youth firearms safety and training classes and Project Childsafe Training Classes are facilitated by Kevin McNair, NRA certified instructor, range safety officer and owner of Tactical West, LLC and his experienced team. Las Vegas Chapter of the Mule Deer Foundation receives award!